Thanks to Carol Guist of Baird & Warner, Monday Miles is free to all participants this year. This year we have challenged the community of Glen Ellyn again to see who can log the most steps over the 10 weeks of the 2019 summer. Each week we will go toe to toe with residents there, seeing which village can log more miles. 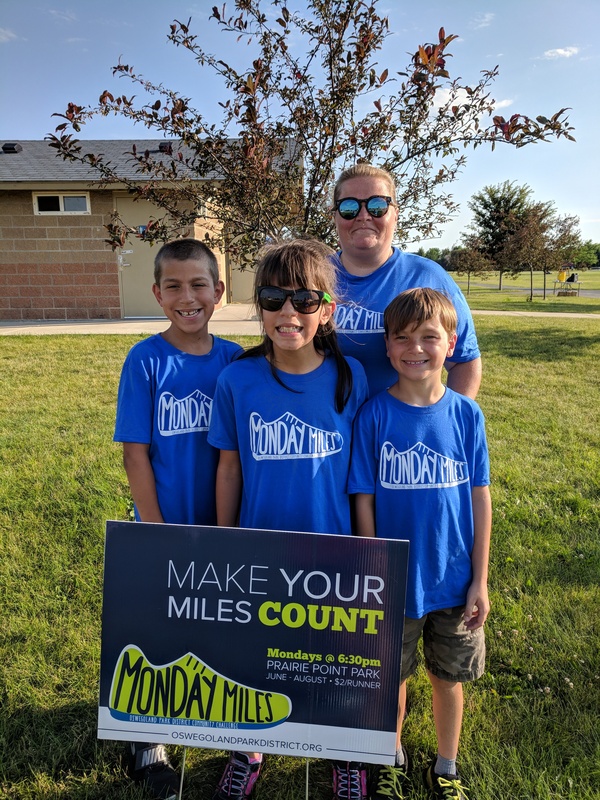 Monday Miles will be a fun way for both communities to be active, running, walking, or rolling 1, 2, or 3 miles each Monday evening. Come to six or more Mondays and earn a commemorative 2019 event t-shirt.